A clever pattern to make a quick and easy tote to carry everything you need to sewing class, on vacation or to use at home by the TV. The see-thru, zippered compartments keep you organized. 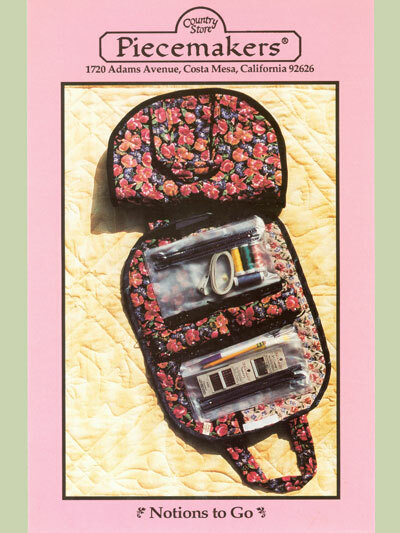 Use it for sewing notions, jewelry or cosmetics. Finished size: about 13" x 18" flat and 13" x 9" folded.